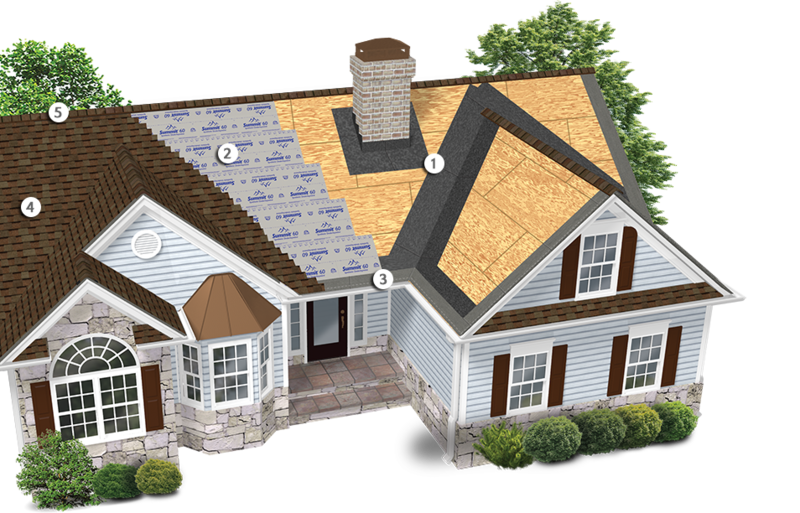 WeatherMaster® Ice & Water products are self-adhesive composite underlayments. The adhesive layer is composed of a proprietary, SBS-modified asphalt reinforced with a fiberglass mat. The granule and sand surface provides excellent traction and protection from UV degradation and weathering. The self-adhesive side is covered with a split-release sheet that is removed during installation. WeatherMaster® Ice & Water provides a secondary layer of waterproofing protection needed to help prevent damage from ice dams and wind-blown rain. These self-adhering modified-bitumen underlayments create a watertight barrier by sealing to the deck and around nails to provide continuous protection year after year. 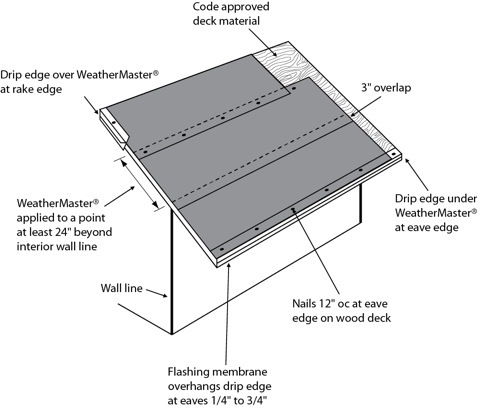 WeatherMaster® Ice & Water helps protect the entire deck of a properly ventilated roof or just those problem areas where water collects or drainage is slow. 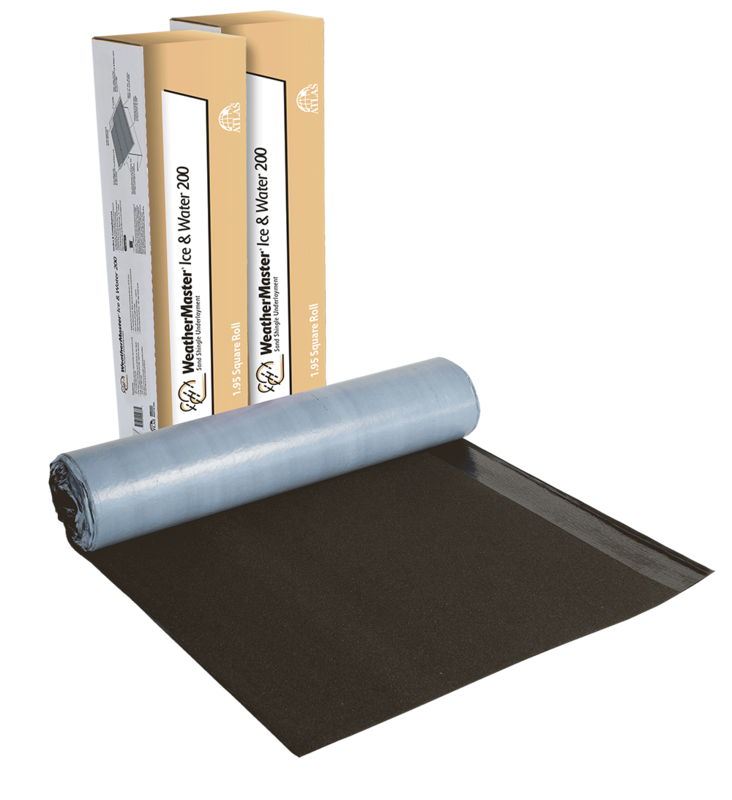 WeatherMaster® Ice & Water underlayment is self-adhesive and cold-applied. No special adhesives, heat, or equipment are necessary to install under normal dry conditions of 45°F or warmer. Mechanically fasten “back nail” membrane into position until it has bonded to the roof deck to provide safe walking conditions on the roof.